That was last July, but Beetlejuice himself is famously hard to get rid of. You never know when you’re going to grab a snake-like bannister or look at a weird sculpture only to suddenly be attacked by a ghost in a striped suit. 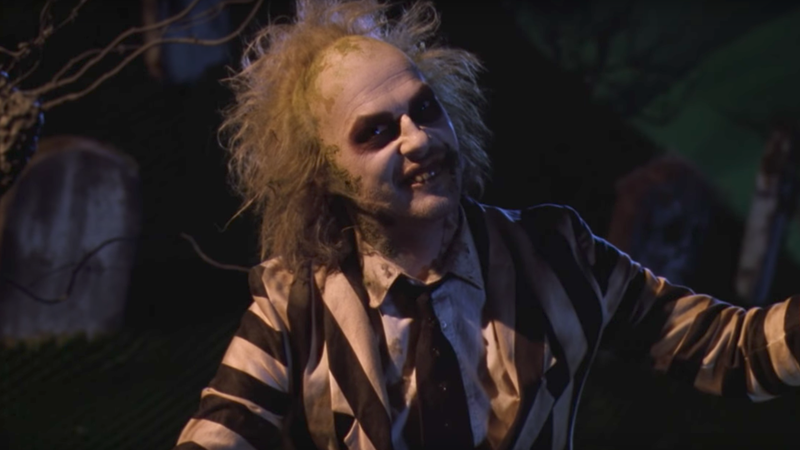 Warner Bros. is apparently learning that now, as Deadline is reporting that the studio has just hired writer Mike Vukadinovich to put together a new draft of the Beetlejuice 2 script. Burton and Keaton aren’t officially attached yet (and neither are Ryder, Davis, and Alec Baldwin, for that matter), but Deadline believes they’re all still eager to jump back into this weird world. As for Vukadinovich, he has reportedly written for Hulu’s Runaways show and he wrote the script for Peter Dinklage’s Rememory—a fine movie with an awful title. Seth Grahame-Smith, who wrote a previous draft, is on board as a producer.